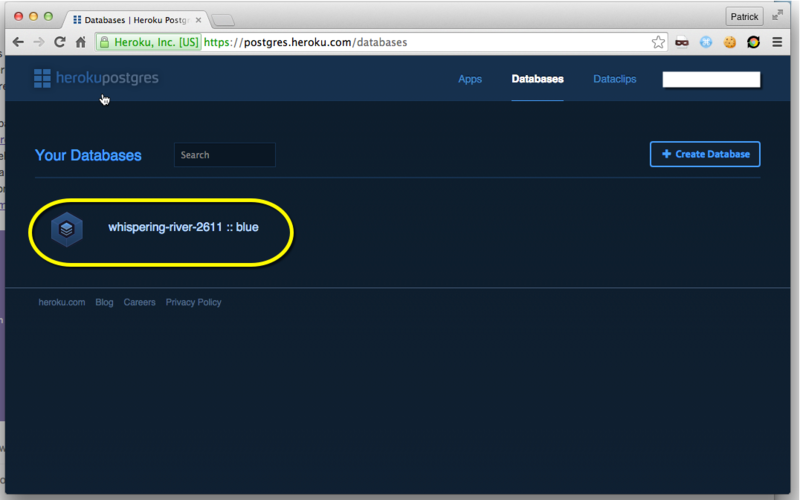 I have already set up a basic webapp with a free "Hobby" Postgres database see http://www.whiteboardcoder.com/2015/04/your-second-heroku-node-app.html The "Hobby" Database can only contain 10K rows. 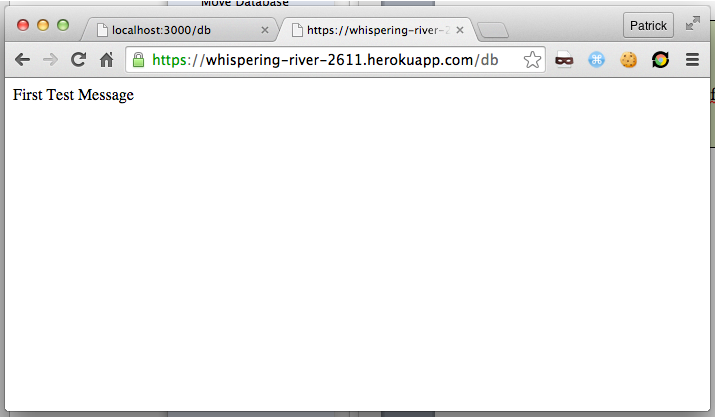 You can pay Heroku $9/mo to up that to 10M rows, which is a very good way to go. 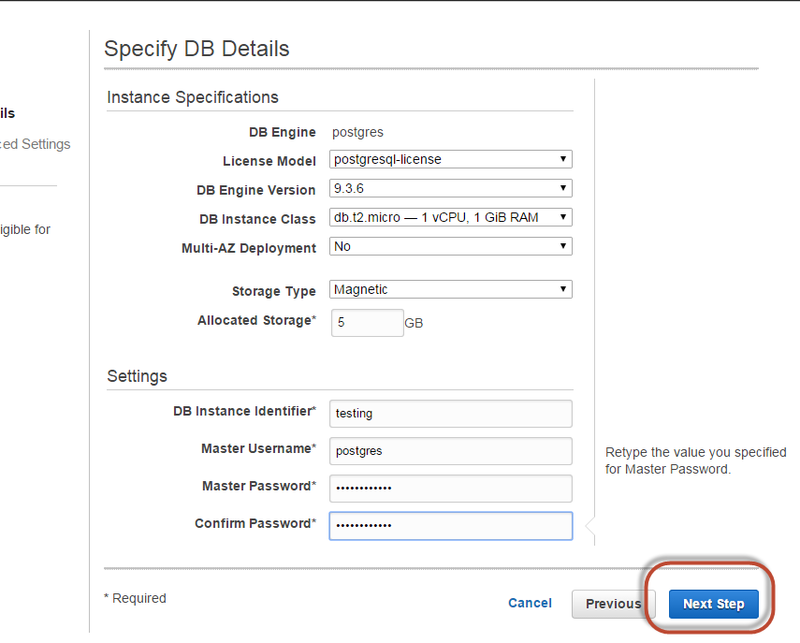 They also offer some paid Postgres servers that do not have these limits. But! 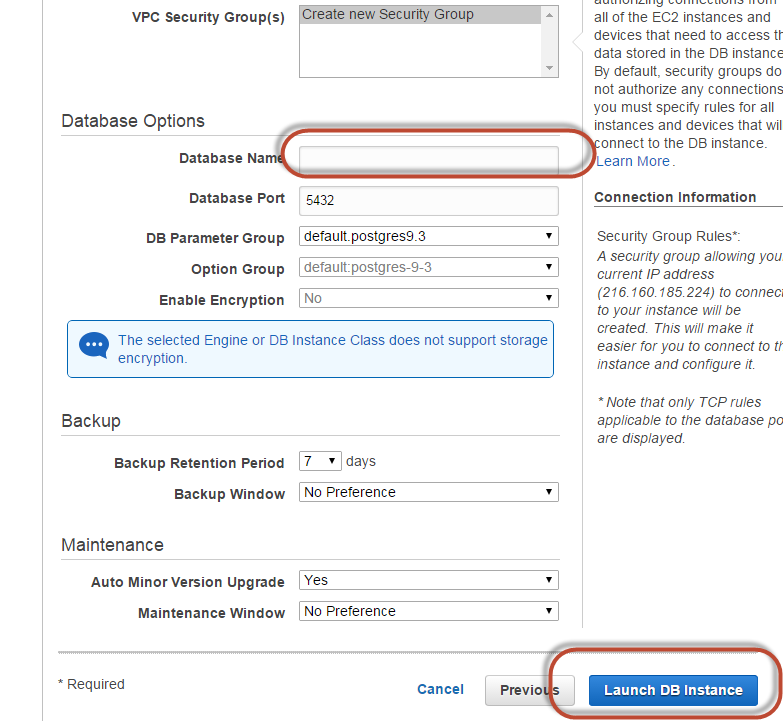 What if you want to use your own Postgres Database? 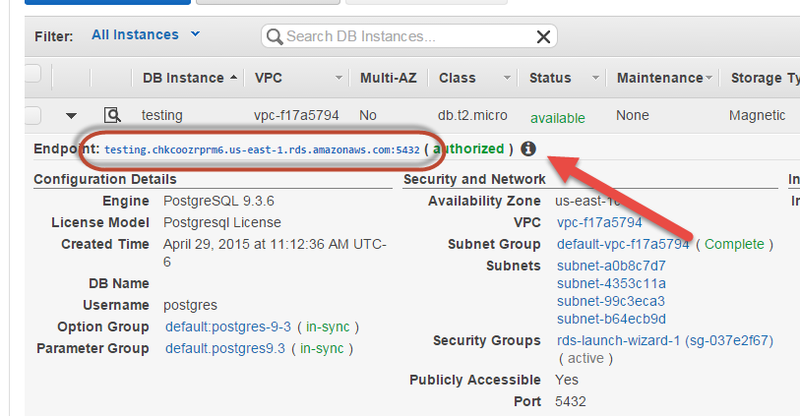 What if you want to use your own Amazon RDS Postgres Database? How do you do that? How do you hook up your app to use a remote Database? I am going to try and cover that as best I can in this write up. The rest, Express, config, and Postgres. Install Postgres, I am assuming you are on Ubuntu 14.04. 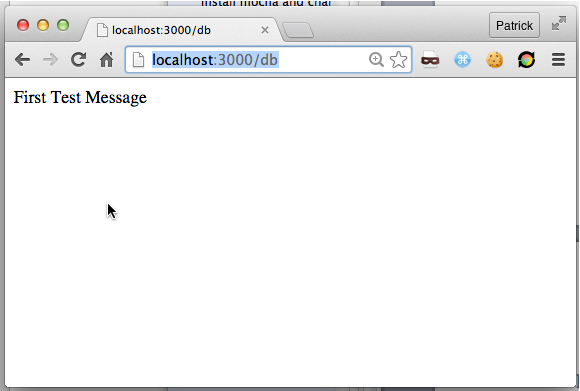 This script create a database called myapp with a table called message and populates that table with two messages. 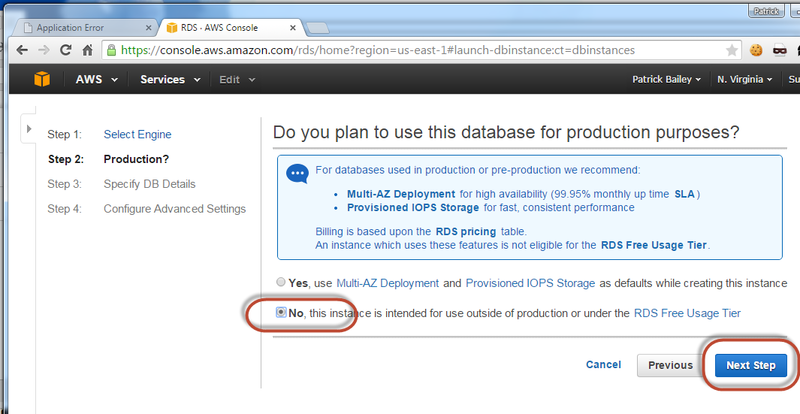 It also creates two users for that database. app_ro is a read only user and app_rw is a read write user. Each user has a password of "myPassword". 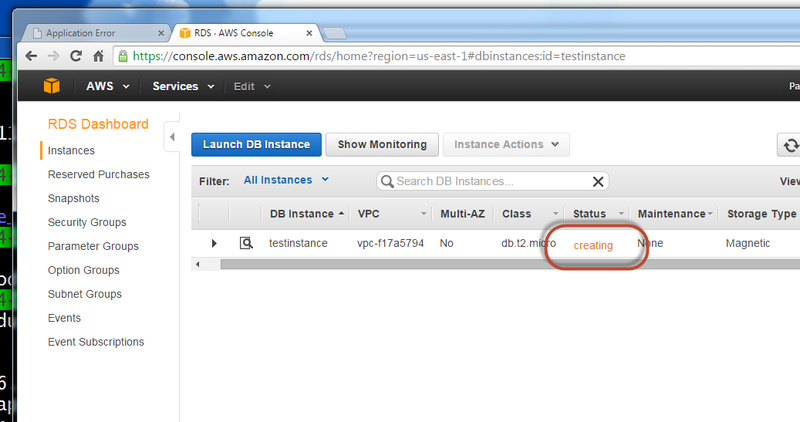 OK local database is working! Exit out of the Postgres user. 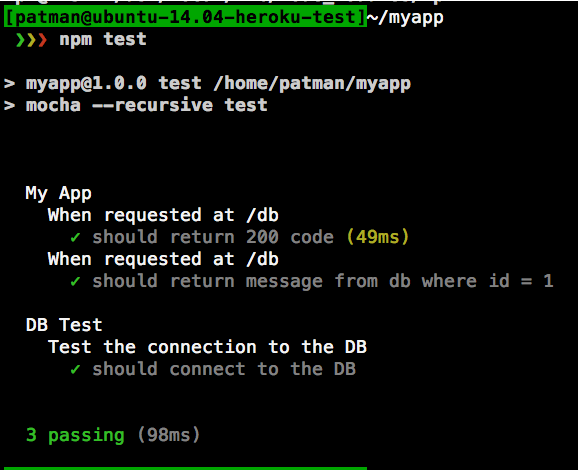 Create a few TDD tests. 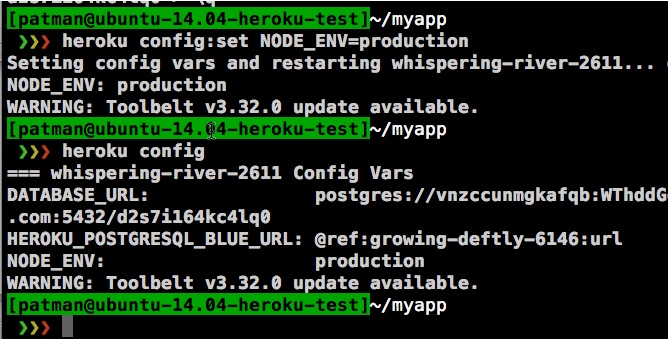 I already created these before in http://www.whiteboardcoder.com/2015/04/your-second-heroku-node-app.html. Now I am just going to show you what I put in it. Looks good! The message is from the database. 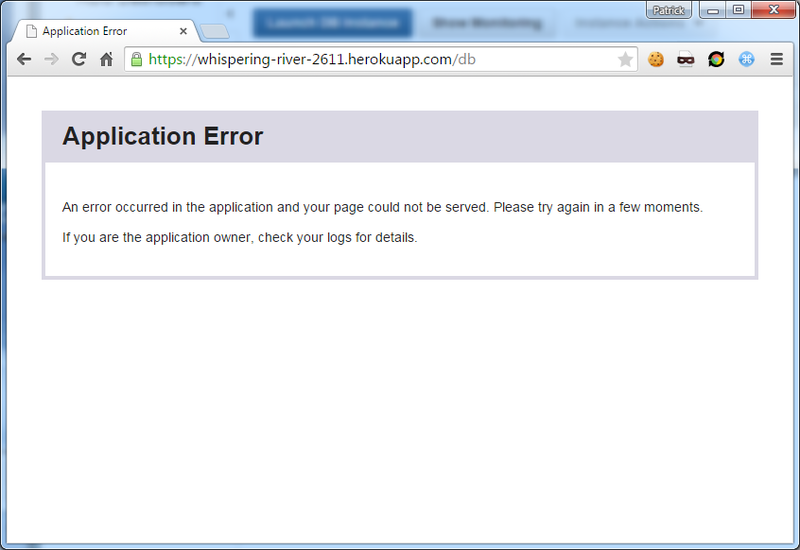 I am using the free version of Heroku so I can only have one app going at a time. I am going to list my current app and delete it. My current app is called glacial-anchorage-5446. 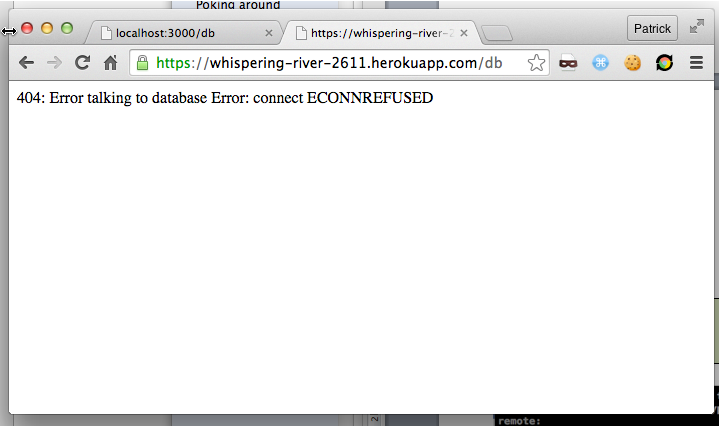 It's not working because I need a database. The DB is empty, I need to fill it up with data. Grab your database information. And to make life simpler place it in ~/.pgpass file. For example for me I can run the following command. 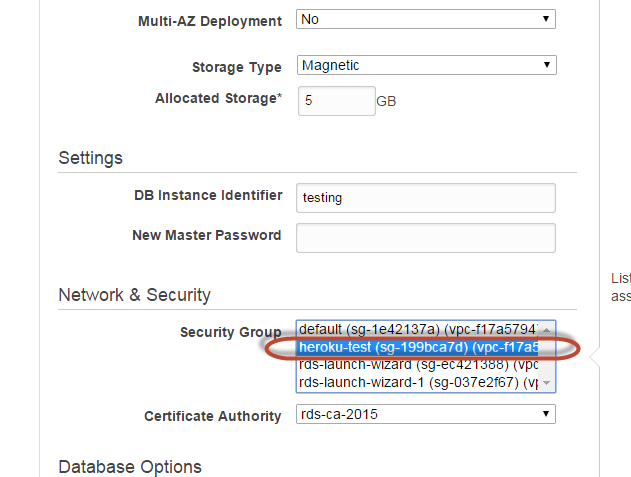 It's in the form "hostname:port:database_name:username:password"
The Database at Heroku is no correct, but the config file, that contains the db connection info is not. > git commit -m "Added config"
Why did I do all that? Well, I think now that I have an app working in Heroku and talking to it's database I think it may only be a matter of changing the config file config/application.json to point the RDS database I am about to make. 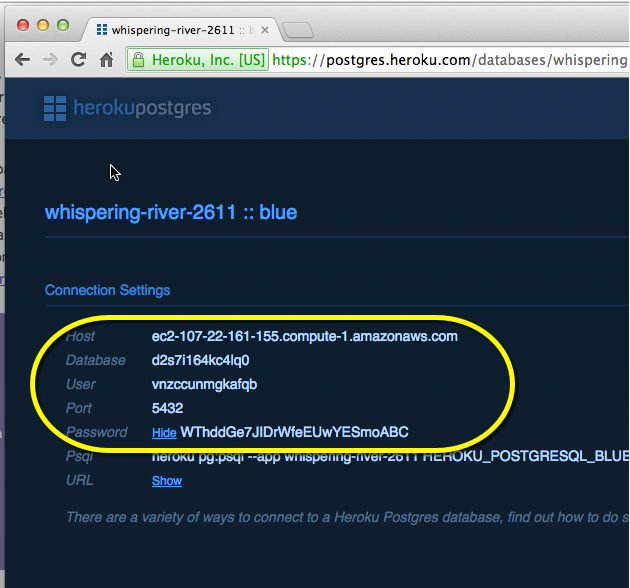 I have a Postgres database running locally at home… What if I just open up a port and route it to this box? 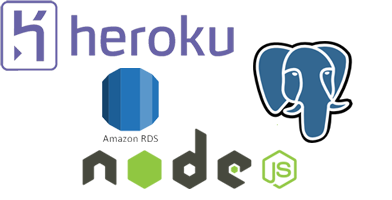 Can I get Heroku to use my database running at home? I am guessing so, let me try it out. You need to expose your server to the internet. In my case route port 5432 from my router to this virtual machine. > psql -h 203.0.113.220 -d myapp -U app_ro -c "select * from message;"
Ooops it got rejected… I need to tweak my /etc/postgresql/9.3/main/postgresql.conf file to allow access from outside the machine. I also need to edit /etc/postgresql/9.3/main/ pg_hba.conf file to allow access from outside the machine. OK now I should be able to log in. Finally worked from outside my system. 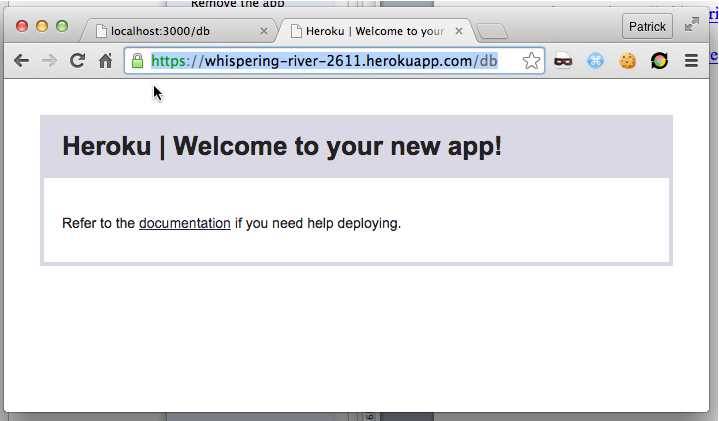 Now can I get my app on Heroku talking to my database at home? Well first I should update the message where id=1 so it's easy to tell. 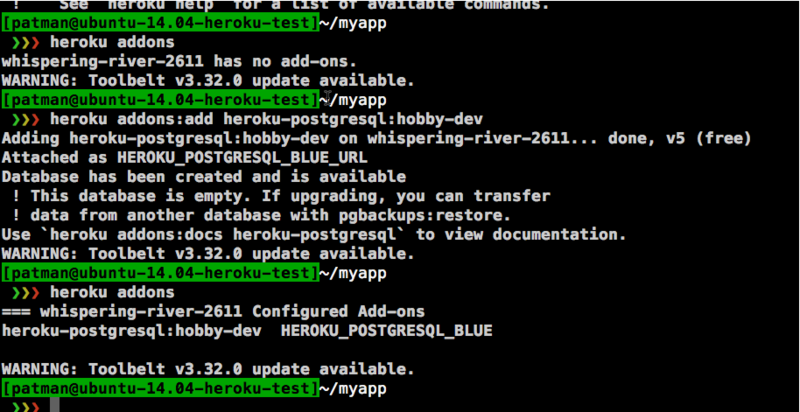 > psql -h 203.0.113.220 -d myapp -U app_rw -c "update message set msg='from remote database' where id=1; "
> git commit -m "Talking to Home Postgres server"
Moment of truth open up https://whispering-river-2611.herokuapp.com/db …. Nice, it worked. OK if that worked once I get the RDS up and running this should be a no brainer. Before I move on though, I am closing access to my local Postgres server, putting pg_hba and postgresql.conf back to the way they were and stop port forwarding to this machine. 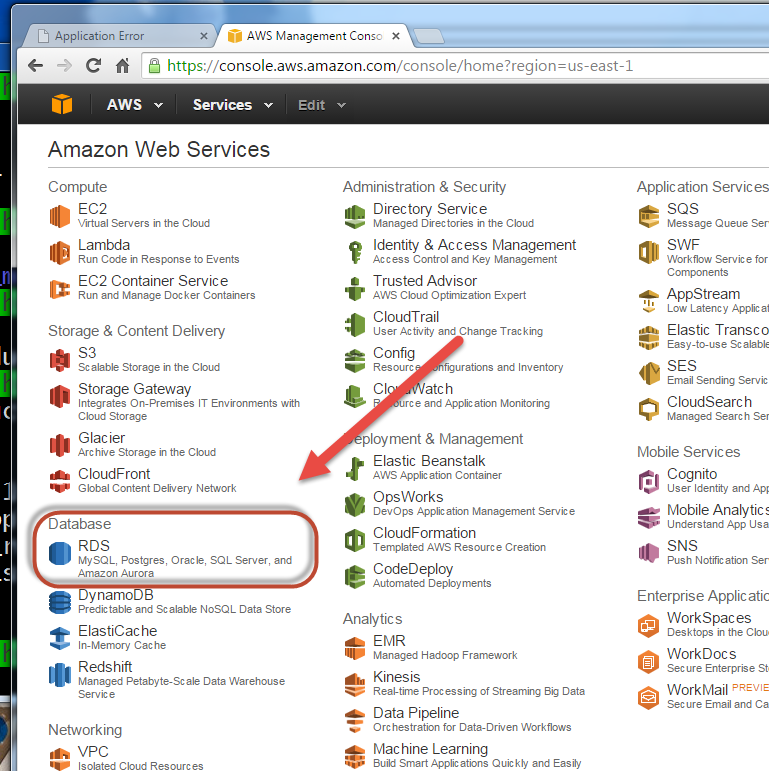 I am not going to go into how to set up an AWS account in this post. I am assuming you already have one set up. 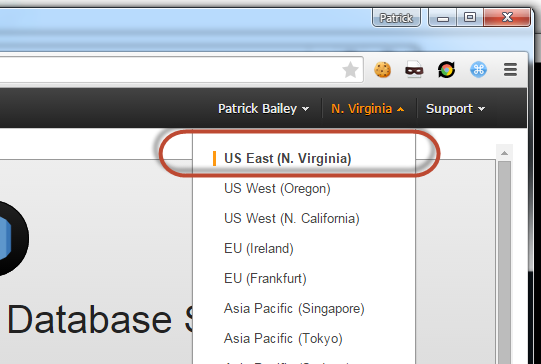 Select the region you want to create the RDS in. Why? 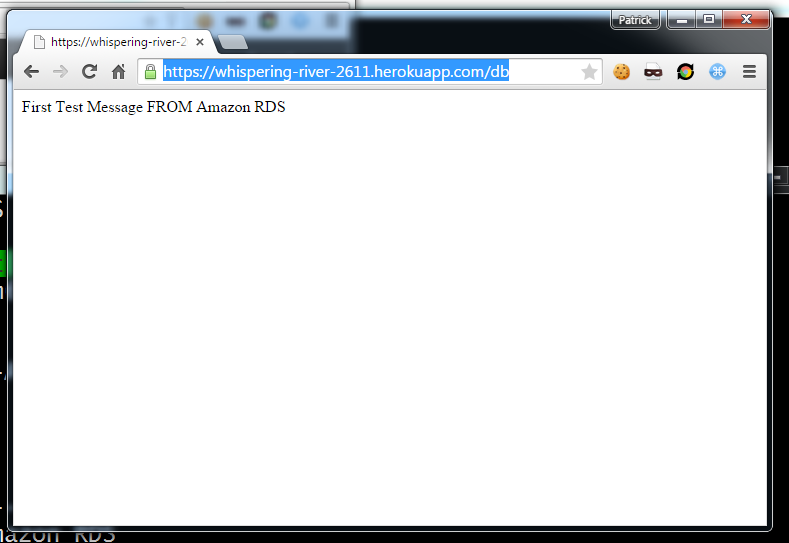 Because all the amazon Heroku servers are run out of there. 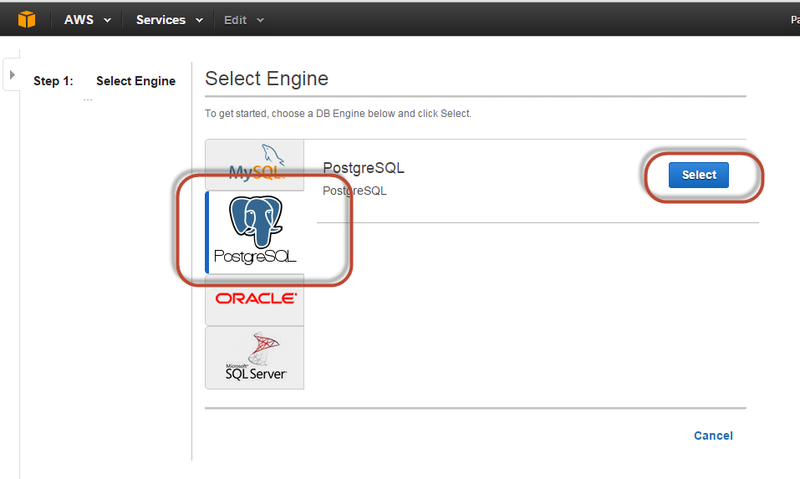 Choose PostgreSQL and click Select. Select No for Multizone and click Next Step. (You can always make it a MZ later. The defaults on this one are good. 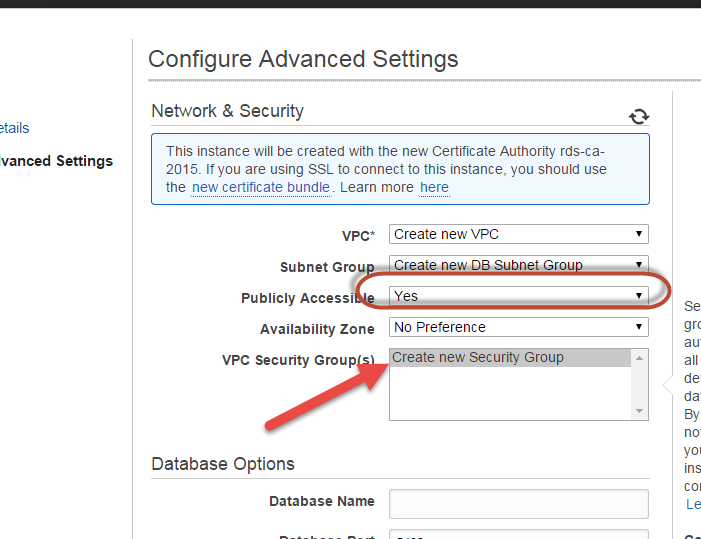 I have no VPC security groups so I may have to create one after this? 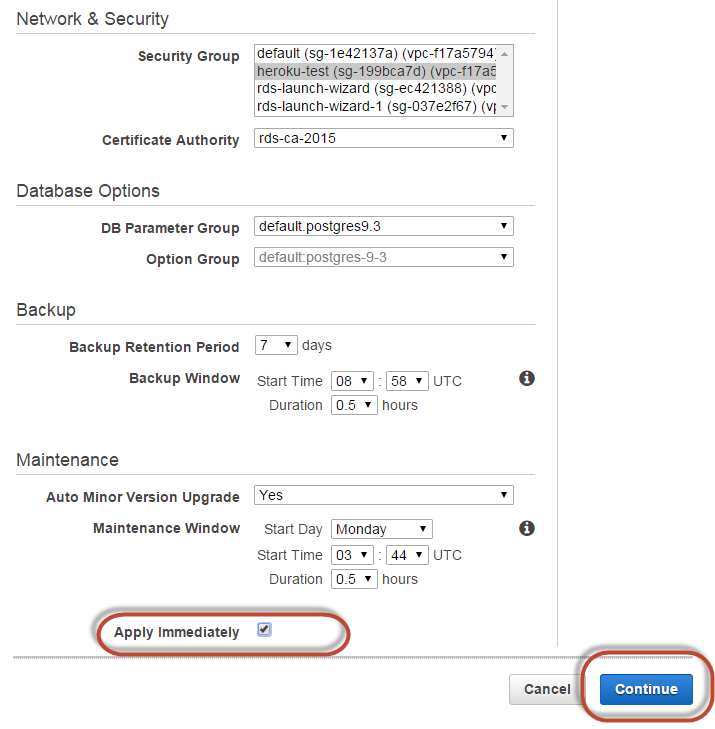 I am leaving the Database Name blank (I don't want to manually create it later). It's being created. 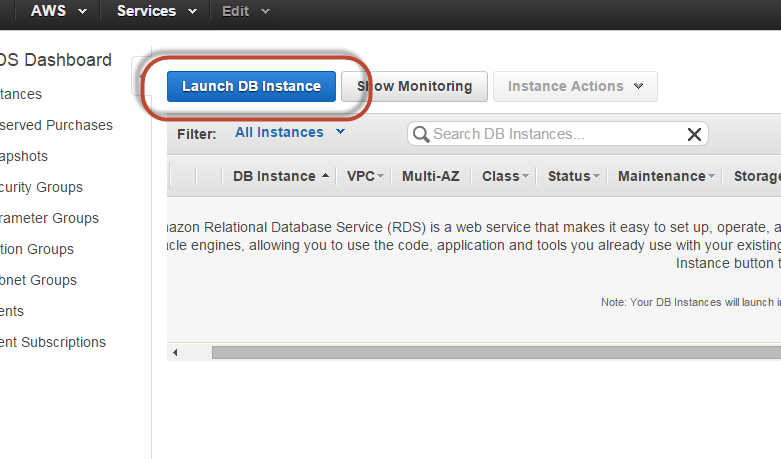 Click On View Your DB Instance. It's still 'creating' give it a few minutes. But what about my permissions? Hover over i and this pop up come up. Looks like it gave inbound access to my current IP address (Which I covered up). And access to no one else. Nice, not bad for not setting up a security group. Let me see if it works. 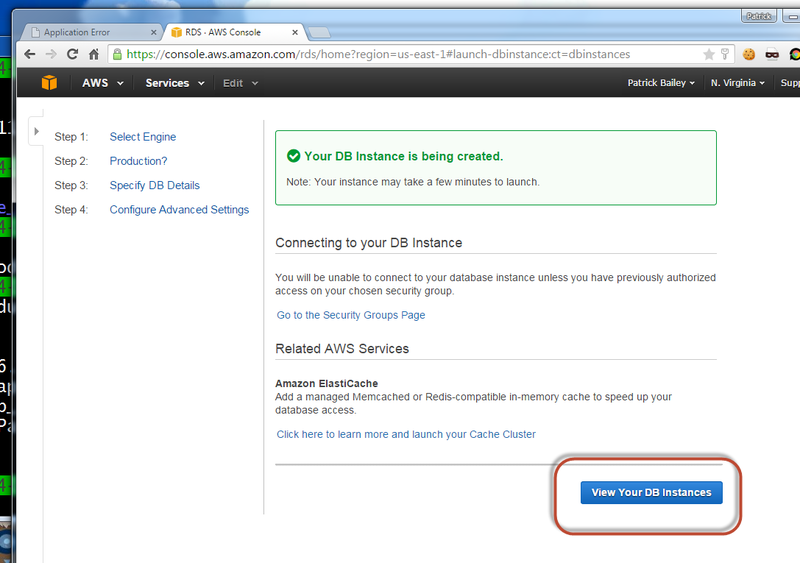 From my local box let me try to login to this database. That worked I am connected! See if I can log in as the app_ro user. 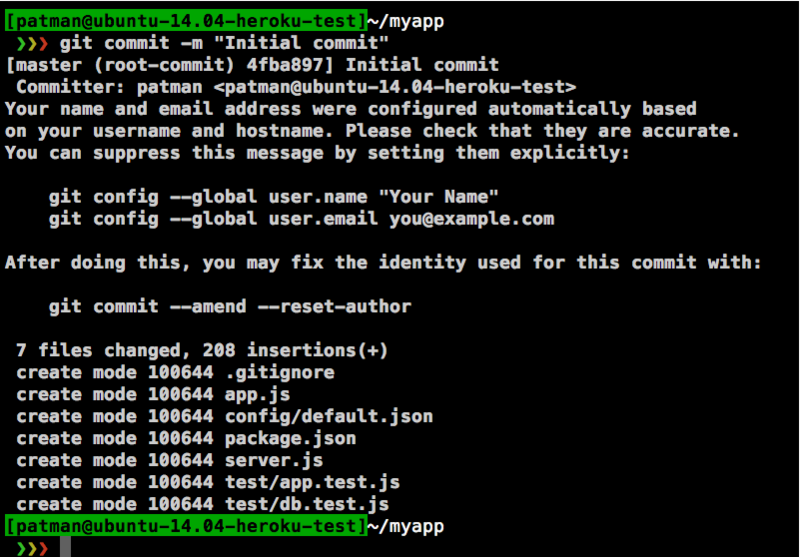 > git commit -m "Updated to talk to RDS"
I should get an error, as I am pretty sure Heroku cannot access my RDS. 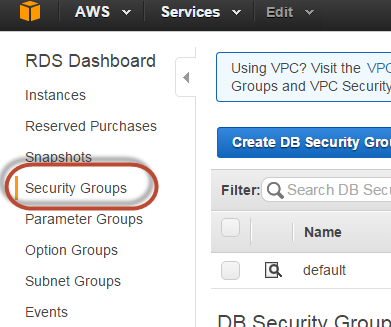 OK I need to update my Security group for my Database. 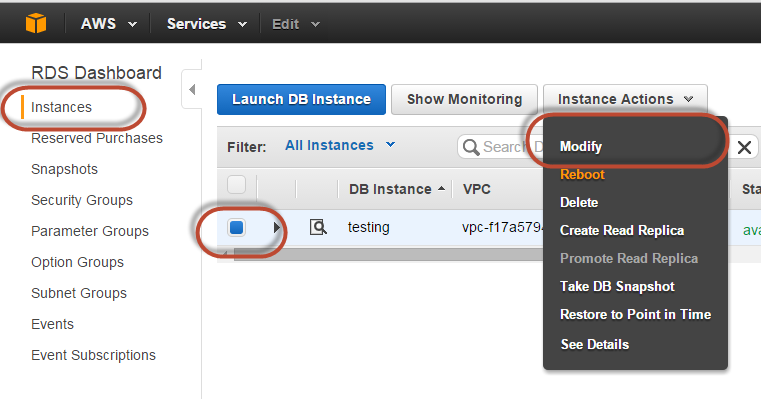 Select Inbound Rules and click Edit. 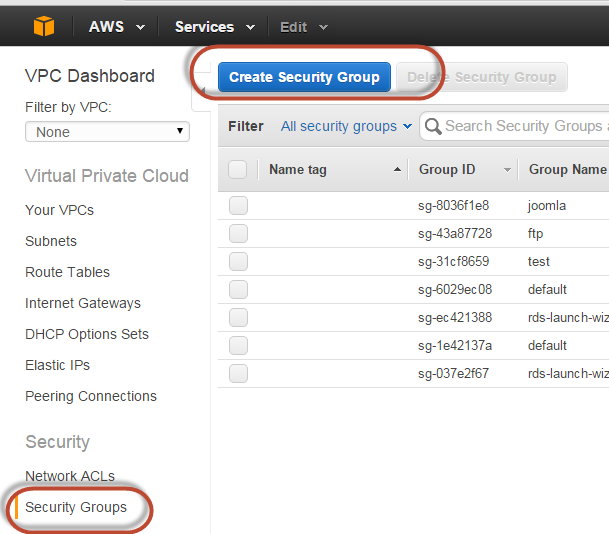 The security group is made and now needs to be applied to the Database Instance. 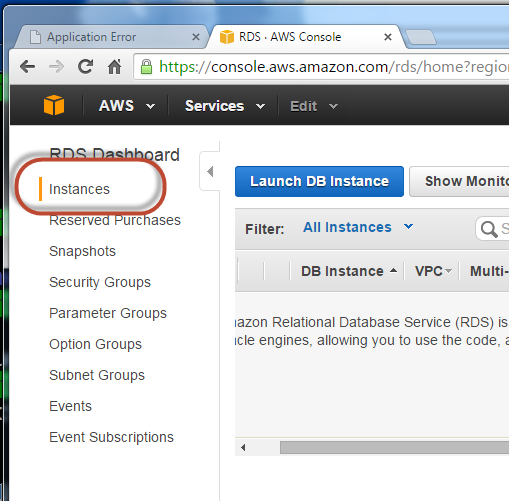 Click on Instances. 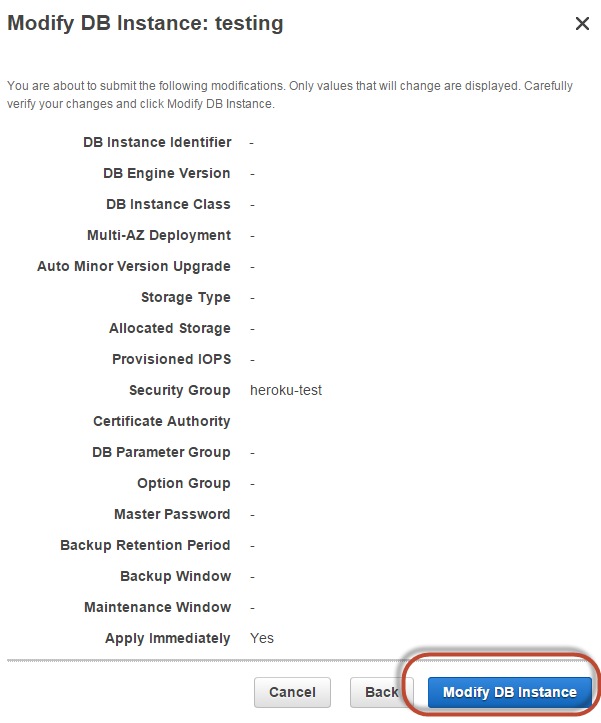 Select the Database, then from the pull down menu Select Modify. Select the New Security Group. 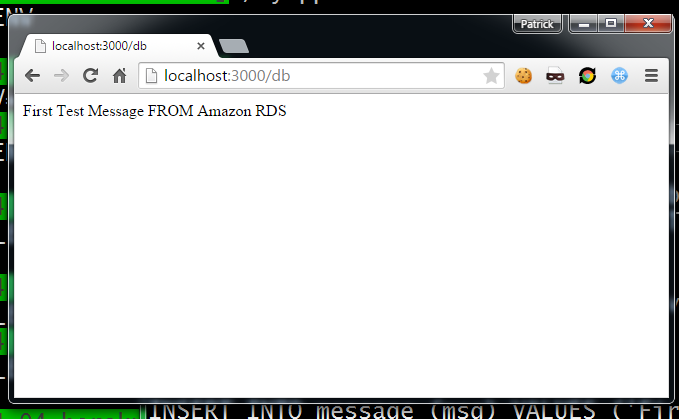 Heroku is now talking to an AWS RDS server that I can easily convert to a Multizone server (Giving me a HA postgres database server). 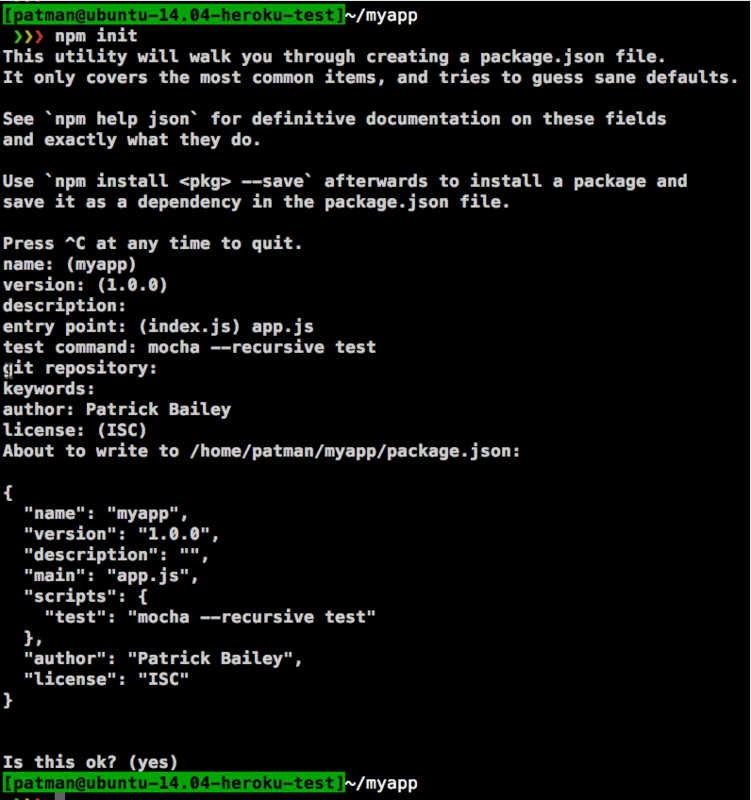 How do you install “development only” NPM modules for Node.js (package.json)?